There are a lot of games that take place in space, but there aren't many that let you play with the weightlessness of being an astronaut out on a space walk. Shattered Horizon is one of those few games that does. Released in 2009 for the PC by Futuremark Games Studio, creators of such beloved games as Unstoppable Gorg and.. uh, Shattered Horizon, Shattered Horizon sort of brought it�s obscurity upon itself. Releasing in the middle of Modern Warfare 2 and Left 4 Dead 2 among others, it�s no wonder nobody played it when it came out. It's a real shame too, as Shattered Horizon really offers a meaningful twist on the multiplayer first-person shooter formula. 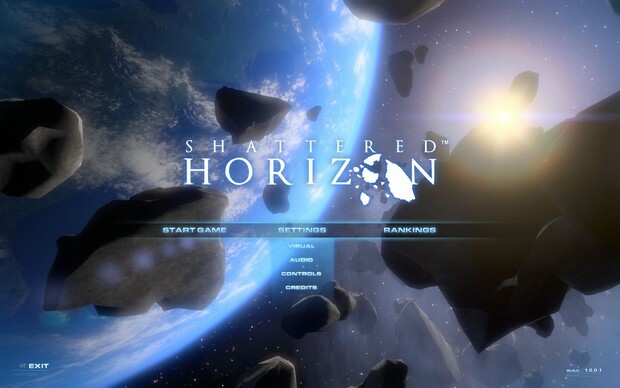 Shattered Horizon is a multiplayer shooter that takes place in and around the ruins of a half-destroyed moon. The maps are set in derelict structures on the floating pieces of moon rock and around space stations orbiting earth. This vistas on these maps really drive home the idea of being in low orbit around earth. The art designers did a great job of making the structures look futuristic while, at the same time, making them look unmistakably similar to present-day outer space structures and equipment. The suit designs as well almost look like something that might be worn today. The art designers really did do a great job of putting together a cohesive environment that borrows enough from current technology to form a truly plausible looking near-future setting. But enough about the window dressing. Let's talk about the shooting. 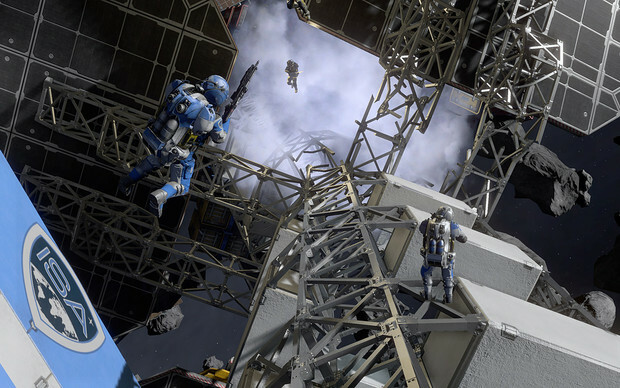 The entire game takes place in low gravity, affording you a full range of motion. 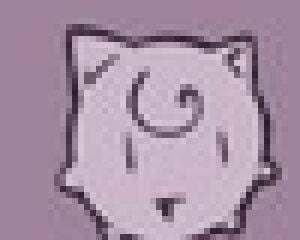 So when you aren't locked down to a surface, you can orient yourself in any direction with your mouse and boost around like it was Freespace or something. Given the state of the gravity, your momentum never really slows. That mechanic is important because you can also turn your suit's power off. Doing that takes your heat source off of the enemy's radar and disables your jet pack. So you can float out into the outer reaches of the map and turn your suit off to snipe without being seen. Besides the game not scaling particularly well on lower hardware, I can�t think of much to complain about. I had to turn all of the bells and whistles down to get the game to run smooth online. And with everything turned down like that, it doesn't look very great. But the gameplay trade-off is worth it. There's a really nice snappiness to the gun-play and the whole game feels very satisfyingly fast and frenetic. The way the levels are designed is both a blessing and a curse. You can go virtually anywhere to get the drop on the enemy, but at the same time that means the enemy is probably also going to hit you from anywhere. Your mileage will vary depending on how well you can deal with that fact. I, personally, was turned off by the fact that actually hitting someone was a small miracle for me. That said, they have added bot support and a wave-based mode since launch, so if going 0 and 20 online isn't your idea of an enjoyable outing, then you can still group up with some friends in coop. What you're getting with Shattered Horizon is a super attractive shooter with a great set of controls supporting some pretty crazy physics. The thrill the game can elicit when you fly out to the edge of the map, turn off your jet pack and float, silent and nearly undetectable, waiting for a chance to get the jump on an unsuspecting enemy, is palpable. Almost as exciting, is seeing other players running on ceilings and walls in the indoor sections of the maps. The game may not be as fun as it is original, but it's reasonably fun in it's own right. 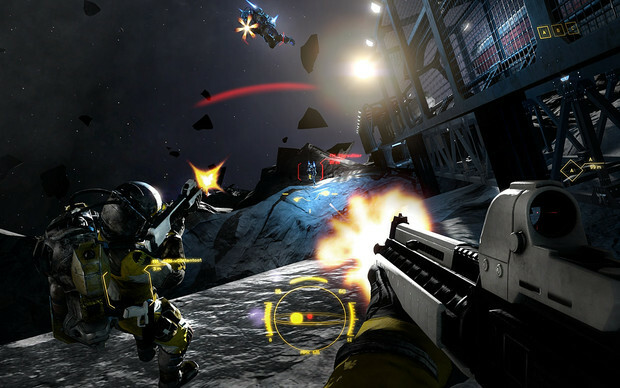 The unique mechanics the setting affords set it a cut above a lot of the other budget priced multiplayer shooters on the market. If the idea of mixing some Freespace in your first-person shooter excites you or if you just like the idea of the near-future setting, then you should take a look at Shattered Horizon. It's currently $9.99 on Steam, so it's safe to say it's at least more fun than it is expensive.